7 Michael Power Place and 9 Michael Power Place, built by The Pemberton Group is located at the intersection of Dundas Street West and Bloor Street West. It is located within walking distance of Islington Subway Station and a short drive to Highway 427. Amenities include a 24 hour gate house, entertainment room, exercise room, virtual golf, theatre, billiards room, cards room and visitor’s parking. This prime Etobicoke location features shops, restaurants and a neighbourhood park. The two towers were built in 2006 with a total of 310 units. All utilities (Heat, Hydro, Water, Central Air and Building Insurance) are included in the maintenance fee. Units come with 1 Parking and 1 Locker. Prices at Port Royal Place Condominiums. 1 bedroom units start at $250,000 for sale. 1 bedroom + den units start at $265,000 for sale. 2 bedroom units start at $289,000 for sale. Large 2 bedroom units start at $325,000 for sale. Wondering what your home or condo unit is worth? Use our Quick Home Market Evaluation or call me directly at (416) 305-8008. 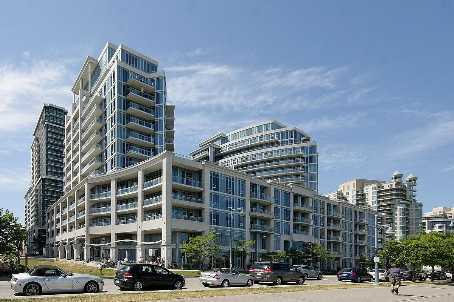 Categories: Toronto Condos | Tags: 7 michael power place, 9 michael power place, condos islington subway, condos kipling station, etobicoke conds for sale, how much are condos at michael power place, islington condominiums, palais, palais pemberton, Port Royal Place Condominium, the pemberton group condos | Permalink.